Naples, Fla. (March 8, 2019) - The year is off to a good start for homebuyers. Beyond escaping frigid temperatures up north, visitors looking to purchase a home in the Naples area during January were pleasantly surprised with their options as inventory levels increased 7 percent to 8,154 homes for sale in January 2019 from 7,605 homes for sale in January 2018. The good news didn't stop there for new homebuyers in January as median home prices increased by only 1 percent to $325,000 in January 2019 from $322,500 in January 2018, according to the January 2019 Market Report released by the Naples Area Board of REALTORS® (NABOR®), which tracks home listings and sales within Collier County (excluding Marco Island). A new statistical reporting system with enhanced formats and data capture features was adopted by NABOR®. The January 2019 Market Report was prepared using the new system. Broker analysts reviewing the new report were quick to point out that a rare occurrence in January 2018 contributed to a reduction in overall closed sales reported in January 2019. Namely, that a developer added 79 newly constructed high-end condominium closed sales to the MLS during the month of January 2018. To further clarify, the actual "sales" were made over a three-year period, but the sales data for all 79 units was input into the MLS over a three-week period in January 2018. Consequently, this data is reflected in the monthly statistics as a 160 percent decrease in overall closed sales for homes in the $1 million to $2 million price category. It is for this reason that the January 2019 Market Report has been clarified to also reflect the removal of these anomalous sales in order to show a truer comparative analysis of the data. According to Cindy Carroll, SRA, of Carroll & Carroll Appraisers & Consultants, LLC, new home construction is tempering price increases in many areas of the resale market. "More builders are using the MLS and reaching out to brokers and REALTORS® with purchase incentives, which will make it necessary for homeowners to price their homes more competitively." The monthly statistics only capture a fraction of new construction product. NABOR® is working to engage more builders and encourage their use of the MLS. As such, it anticipates the ability to report broader data - like new construction, pending sales and list-to-closed sales - in future months with the new system. "Fee heavy condominiums are hurting," said Adam Vellano, West Coast Sales Manager, BEX Realty - Florida. Even though inventory rose 6 percent in the under $300,000 condominium market in January, closed sales for this product in January dropped 25 percent. "The good news is that prices have remained relatively flat in both the single-family and condominium markets over the last 12 months despite the increase in inventory, so this factor along with an increase in inventory means there are some very good deals out there. This is a positive for homebuyers," said Vellano. "The housing market, while not markedly busy in January, remains healthy. The big news in January was inventory," said Jeff Jones, NABOR® President and Managing Broker for Engel & Völkers Naples and Bonita Springs offices, "especially in the single-family home market where inventory for single-family homes under $300,000 grew 8 percent, and inventory for single-family homes between $300,000 to $500,000 grew 12 percent. "We expect the supply of homes for sale to increase, giving buyers more homes to buy, but not so many that will negatively affect overall home prices." Overall, there were 549 more homes for sale in January 2019 than in January 2018. The Naples area has seen its resale market inventory climb over the last few months. As such, there was 8.4 months of inventory in January 2019, typically indicating a buyer's market, up from 6.3 months of inventory in January 2018. If you are in the market to buy or sell your home in Southwest Florida, give me a call for assistance. I can do a market comparison and determine a fair and reasonable listing price, both with and without renovations. I can also identify properties best suited for your needs and negotiate a purchase price that fits your budget. 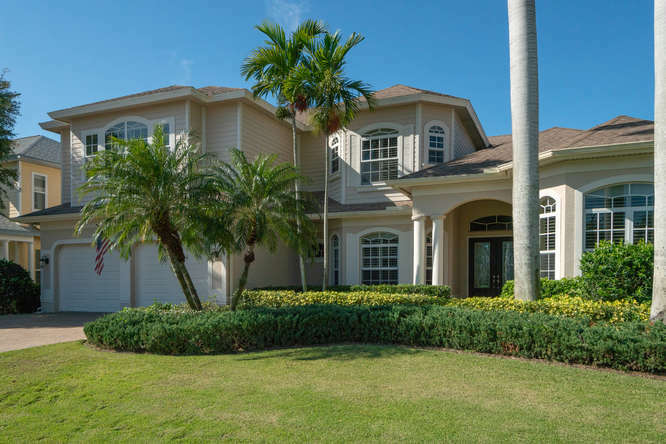 Discover more at www.NaplesPropertyPreview.com or call Susan Sanderson at 239-821-2370.